This is the advertisement on my favorite classical music radio channel's website. Every morning when I get to work, I open the KDFC website (www.kdfc.com) to get that calming music streaming into my office all day. And every morning, when I see the "Everyone Remain Calm" sign, I think "That would be a great sign for the office." I work to keep a calm environment in my mediation practice and my law practice so that rationality instead of emotions will prevail. I guess I'll have to figure out a way to blow this up to poster size and frame it for each of my conference rooms. Mediators like to talk about win-win solutions in theory. And in practice, a win-win result is the goal of mediators boiled down to its nicely cliched essence. Mediators are trained to draw information and ideas out of disputing or negotiating parties that will help to put a deal together that works better for all the parties involved than any other possible solution could. Sometimes the options for settlement truly are limited to the division of a set thing (money or time or something else), in which case we spend our time in mediation working out how big each party's piece of the existing pie will be. Both parties have to compromise or give in a little (or a lot) in order for each side to be satisfied just enough to seal the deal. But the results of such a tug-of-war usually are not satisfying and the process itself is emotionally similar to litigation. That's not the way most mediators like to work. We prefer to spend our time expanding the pie that is to be divided. We ask questions and explore ideas in order to increase the options available to the parties so that the parties can walk away feeling stronger and more confident in their new partnerships or newly developed concepts or settlements instead of war-weary from an all-day tug-of-war over a single item over which nobody wants to budge. This is what I was thinking about when I read a Newsweek article by columnist Anna Quindlen, in which Ms. Quindlen proposes to Hillary Clinton that she "Make it your business to persuade Barack Obama to be your running mate." In searching the Internet on this topic, I see this is not the first time this has been suggested. "But [the Clinton-Gore ticket] was nothing compared with the excitement that would ensue if you eschewed your customary caution and asked Obama to join you in creating the first real 21st-century ticket. It's not simply that with one fell swoop you would solidify the two largest blocs of Democratic support, but that the historic nature of the pairing would galvanize the race and make any Republican slate seem so same-old. Every politician likes to talk about a new era. The day the Clinton-Obama ticket is announced would really be one for the history books." This kind of thinking is exactly what we strive for in mediation. Remember, it's still a compromise and for this to work, it would involve both individuals having to swallow a bit of their own egos, but that's nothing compared with neither of them succeeding because of the perceived weaknesses each has on her and his own. Great ideas like this are usually something thrown out in mediation as a casual, maybe offhanded remark by the mediator, or an attorney or party, that gets picked up and twirled around by someone else in the room and suddenly everyone starts looking around the room as the "aha!" moment descends because we're all thinking at the same time: "Aha! This is the perfect solution! Now why didn't I think of that??" This is a great example of a win-win solution. 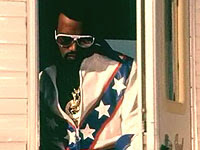 Evel Knievel and Kanye West are attempting mediation. This from an Associated Press article found in Comcast's online news (Link to full article here) this week. Knievel filed a trademark infringement lawsuit against West whose rap video shows West, in full Knievel regalia, riding a motorcycle which was "visually indistinguishable" from Knievel's signature bike on which he performed his famous daredevil stunts back in the day (His son carries on the legacy, but Evel himself is retired with a banged-up body from all the stunt riding). In the video, West's stunt goes wrong (intentionally) but not in the same way the actual stunt by Knievel went wrong originally in 1974. In defense of the claims against him, West claims the video was a satire and is therefore allowable and not an infringement of the Evel Knievel trademark. This is a great case for mediation, and apparently the parties and their lawyers think so too. Without being an expert on trademark laws, it's easy to see that both sides have plausible positions and a court decision could easily go one way or the other after both sides have spent considerable time and money. My instinct tells me that Knievel and West could do themselves a big favor by sitting down together and talking about where they're each coming from and working out a solution between them. They should be able to do this informally - maybe even in a phone call with just the two of them on the line. But because they each have advisors on top of advisors, it's likely that a more structured setting is needed so that the advisors can participate and protect the interests they're paid to protect. In mediation, everyone will discuss their legal and non-legal positions and productively work towards a solution that solves everyone's problems so everyone walks away happy. Mediation is not just about compromises nor is it about both sides walking away equally unhappy, although sometimes that's what it takes to get a dispute resolved when there are no other options. Most of the time though, I find if the parties come to the mediation table to work out a deal that fits the situation, a deal that works for everyone will result from the hard work and effort. The parties at the mediation were the injured woman (the plaintiff) and her attorney as well as the insurance carrier and the attorney appointed by the insurance carrier to defend the driver against the plaintiff's claims of serious personal injury from the car accident. The driver was not present because the insurance carrier and its attorney were there to represent his interests and they had the authority needed to make the decisions. (This is why we pay for car insurance.) The plaintiff was seeking almost $1 million in damages. The parties had submitted mediation briefs with the facts, claims, defenses, medical claims and out-of-pocket costs, medical liens from the health insurance company and information from the carrier's accident reconstructionist. After a joint session with brief openings by the attorneys, separate caucuses were held to discuss with the plaintiff her demand for financial compensation of her injuries and costs and to discuss with the insurance carrier its position on the driver's liability (including questions of comparative fault for the plaintiff's own actions) and what it was willing to pay for this claim. Both parties had chosen to mediate this case in an effort to avoid a costly trial which would include expert witness testimony on accident reconstruction, toxicity and other issues, and would also consume at least a week or two of trial time, significant attorney's fees and costs in preparing the case for trial, and uncertainty in the outcome. There were uncertainties for both sides which made mediation a great alternative to trial. A jury might: a) sympathize with the plaintiff for her injuries and emotional suffering and award the plaintiff an amount in the hundreds of thousands of dollars; b) compensate the plaintiff for her medical costs but nothing else, since she had made a full recovery; or c) see this as just an accident, with both parties to blame for the collision and award nothing. The jury would probably do something in between "a" and "b" and all the parties were aware of this. This uncertainty, as well as the ability to resolve the case months, and sometimes years, before the parties will ever get to trial, and get a solution which satisfies the parties, is one of the reasons this personal injury case and many others like it, are resolved in mediation. The parties, their attorneys and the mediator work together to come up with solutions everyone can live with and that's what happened in this case. The plaintiff was compensated for her medical costs and for some of her emotional distress. The carrier was out a significant amount of money but which was far less than it could have paid in attorney's fees and costs to defend the case as well as whatever verdict was returned by the jury. Everybody was able to close the case and move on with their lives, satisfied that compromises were made and satisfaction was achieved. Mediator and blogger extraordinaire Vickie Pynchon specializes in helping parties resolve their often sophisticated and highly technical IP disputes through alternative dispute resolution means (mediation and arbitration). She, along with her fellow IP mediators, host the new "IP ADR Blog" which I recommend for all attorneys and parties with IP disputes. The articles written by Vickie and her colleagues explore the use of ADR methods to avoid litigation of IP disputes. They also explore the unique universe of IP laws and the systems and people found in that universe. And from time to time, they also write about the field of ADR in general. 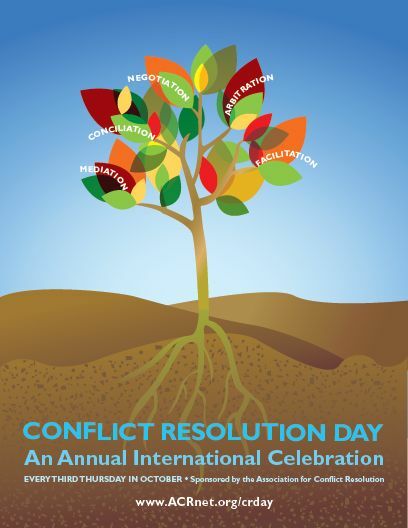 "Many mediators see themselves as "peacemakers," particularly those litigation-weary mid-life attorney-mediators who have grown cynical and dispirited by the daily mud-slogging, troop-deprived, bicker-battling that even (or particularly) high-stakes litigation can descend to. Some of us see ourselves simply as negotiators and strategists -- people who can advise, coach, importune, shutter, sway and sometimes rock 'n roll the parties into a better resolution by way of agreement than they could ever achieve by way of suit. But don't mistake us for peaceniks. We understand the uses of power and are often dismayed that one side has failed to deploy a sufficient number of battleships or the right type of troops to justify the concessions demanded. No. Mediators are not pacifists. At our best, we are diplomats, wise to the ways of war and familiar with the battlefields' terrain. Eager to listen for the needs and fears lying just below the surface of the parties' positions. Here to help." "Are Pre-Mediation Talks with Mediator OK?" As a mediator, I am neutral and not biased in favor of or against either party. And even though I know this, I spend quite a bit of time and effort ensuring that the parties know this from my words as well as my actions. I therefore do whatever I feel is appropriate to maintain my neutral stance to ensure that neither party feels there is an imbalance in my favoritism. I favor all parties. It can be a delicate balance to maintain, but I see this as part of my job as a mediator. There are no rules that prohibit "ex parte" communications with a mediator. Most people familiar with mediation know that it is ok to have private conversations with the mediator during the mediation but many are unsure whether it is ok prior to the mediation. It is just as acceptable prior to a mediation as it is during the mediation, provided that the mediator feels she is maintaining her neutral role. The mediator may limit the information she wants to know prior to a mediation, and if she does, it is only to maintain her ability to see both sides of the dispute in an unbiased way before knowing all the facts and issues. So when you call - if you are the attorney for a party or you are the party yourself - to talk to a prospective mediator to make sure this is the right mediator for you, you should be able to discuss the basics of your dispute and get to know the background of the mediator a bit more without feeling you are breaking any rules. However, if you are calling a mediator who also does arbitrations and you are interested in arbitration services, keep in mind that the rules are quite different. In a mediation, the parties are making their own decisions with the help of the mediator. In an arbitration, the arbitrator is making decisions for the parties (just like a judge) and is not allowed to have private conversations with the parties or counsel either before or during the arbitration.